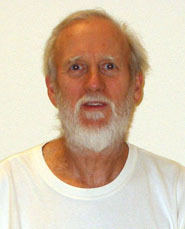 "Wilkes ('Wix') P. Covey III is a seventh generation practitioner of Guang Ping Yang Tai Chi Chuan. He began studying Tai Chi Chuan in the spring of 1994 with Sifu Lawrence Riddle in Wausau, Wisconsin and finished the set in 1996. The Dayan (Wild Goose) Qi Gong set was given to him by Sifu Riddle and completed in 1999. In 1998 he became an assistant instructor at Wisconsin Wen Wu and in 2003 received certification by Sifu Riddle from Wisconsin Wen Wu School to teach Guang Ping Yang Tai Chi Chuan. Wixs is a member of the Guang Ping Yang T’ai Chi Association (an international organization) and is also certified to teach T'ai chi by that organization. In the fall of 2011 he moved to Halfway, Oregon where he currently teaches Guang Ping Yang Tai Chi Chuan in this rural mountain community in Northeastern Oregon.